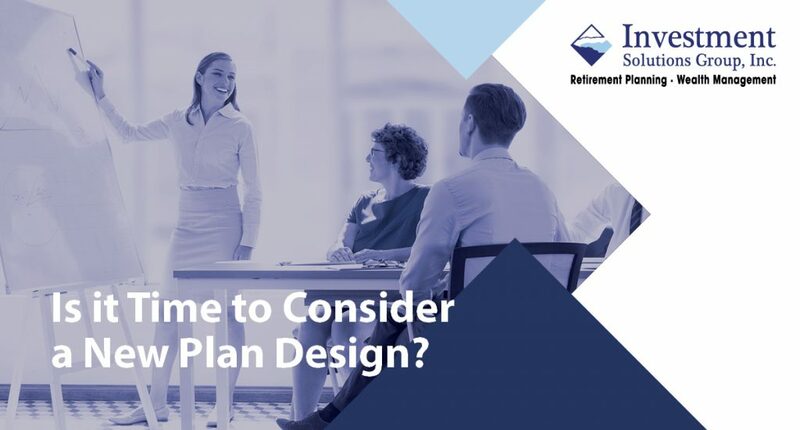 IS IT TIME TO CONSIDER NEW PLAN DESIGN? You may have heard about a “cash balance plan” and wondered whether it would be something advantageous for your business. A cash balance plan operates differently from other types of traditional retirement plans in that it combines features of both defined benefit and defined contribution plans. Technically, a cash balance plan is classified as a defined benefit plan, which means it is subject to minimum funding requirements. Likewise, the investment of cash balance plan assets are managed by the employer or an investment manager appointed by the employer. Since cash balance plans are a “benefit,” increases and decreases in the value of the actual plan’s investments do not directly affect the amount promised to employees. For example, if Jane is promised through a cash balance plan a $10,000 account value, then she is entitled to a $10,000 payment, whereas, the actual value of Jane’s account could be $8,000. The employer is responsible for making Jane’s account whole. Or, vice versa, her account could be worth $12,000, yet she is only eligible to claim the $10,000 that is her accrued benefit. Typically, however, an employee benefit is expressed as a hypothetical account balance, giving it a defined contribution “feel.” A participant’s account is credited each year with a “pay credit,” usually a percentage of pay, and also with an “interest credit,” either a fixed or variable rate that is tied to an index. When a participant is eligible to receive benefits under a cash balance plan, the plan is treated as if it were a defined contribution plan with distributions available at termination of employment in the form of an annuity or a lump sum that can be rolled over into an IRA. Who are cash balance plans best suited for? Cash balance plans are especially suited for self-employed or small business owners with high incomes, since these plans allow high-earning business owners to save more than the $56,000 currently allowed for profit sharing/401(k) plans. Cash balance plans have generous contribution limits – upwards of $200,000 in annual wage deferral. These plans allow for large annual tax deductions because the limitation is on the annual distribution that the plan participant may receive at retirement ($225,000 for 2019), not on the annual contribution to the plan as is the case with profit sharing or 401(k) plans. Employer contributions to a cash balance plan could potentially be three to four times their profit sharing/401(k) contributions and will vary depending on age, income, employee payroll and how much is currently invested in the plan. Most cash balance plans are designed for the primary benefit of owners or executives of a company. Some candidates include professional practices (doctors, lawyers, accountants, architects, agencies, family owned businesses, to name a few examples) who would like to minimize taxes by putting away their hard-earned dollars into tax-deferred accounts. 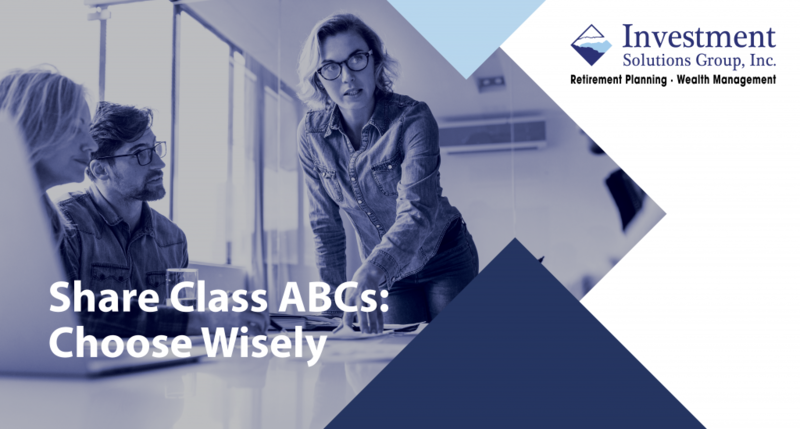 Additionally, cash balance plans can be appropriate when the owner or executive-level employees are several years older than most of the non-highly compensated employees. For more specifics, it’s best to speak with a retirement plan advisor and third-party administrator for a sample plan design proposal. Downsides to sponsoring a cash balance plan include the need to commit to annual minimum funding levels, annual administration fees, investment management fees, and actuarial fees associated with the annual certification requirement showing that the plan is properly funded. Typically, the tax savings are advantageous and outweigh many of the disadvantages. Interested, but should I be concerned about cash flow fluctuations? With the new comparability plan, profit sharing contributions are allocated using the time value of money as a basis to allocate larger contributions to participants closer to retirement age. Depending on the demographic make-up of a company’s work force, the new comparability allocation method can be an effective means of targeting contributions to certain senior highly-compensated employees without committing to funding a defined benefit plan. 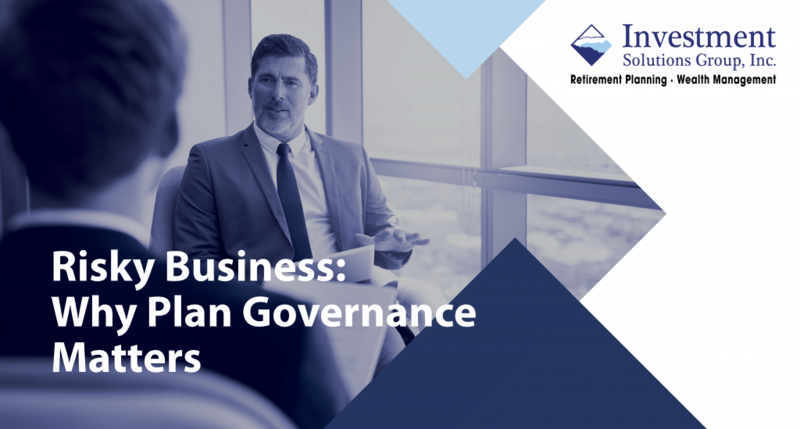 Plan design is largely dependent on the demographics of a business as well as the level of contributions with which the business is most comfortable. For these reasons, consulting with a third-party administrator is highly recommended. This third-party administrator will create customized illustrations using your company’s particular demographics to provide alternative plan designs for review and consideration. Proper retirement plan design can help you fulfill your company’s retirement plan objectives, such as maximizing benefits to key employees, tax deferral and efficient ways to minimize cost to the company. 1 This example is a hypothetical illustration. It is not representative of any speciﬁc situation and your results will vary. Financial wellness has many components that can affect and benefit your workplace. 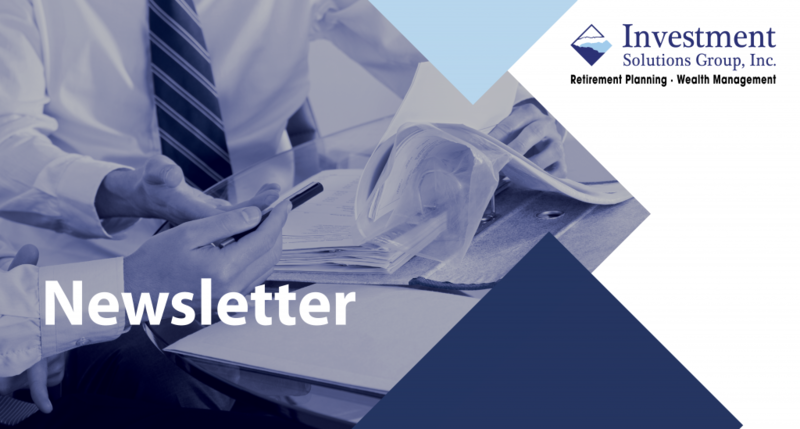 This quarter, our newsletter highlights three engaging topics with insights on the many ways you can incorporate financial wellness into your workplace with the goal of improving retirement outcomes! What are ESG Funds and Should They Be Considered? 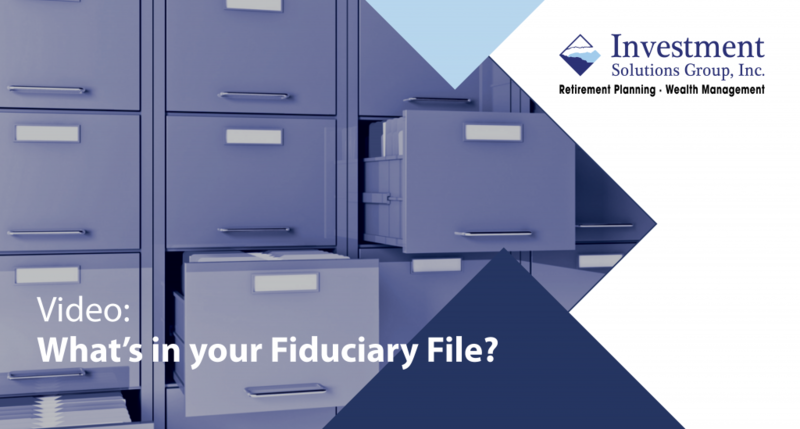 VIDEO: WHAT’S IN YOUR FIDUCIARY FILE? Do you know how much your 401(k) participants should save per year? 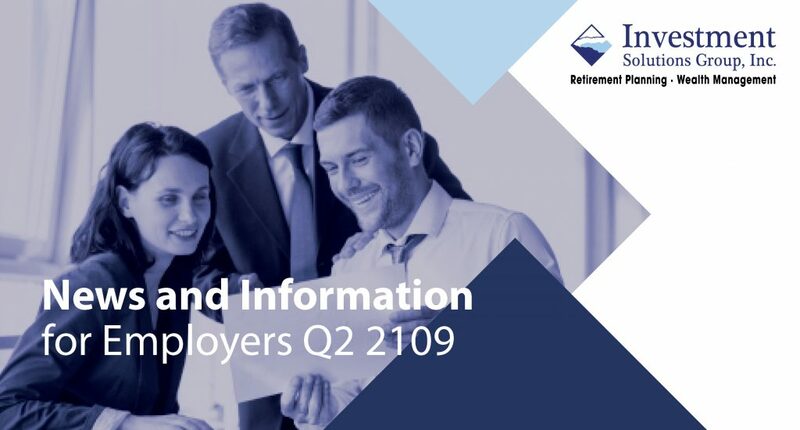 Participants needs guidance when it comes to preparing for retirement, and they often look to their employers, HR department, and company retirement plan committee for direction – that would be you! Is your 401(k) plan documentation file ready for an audit? 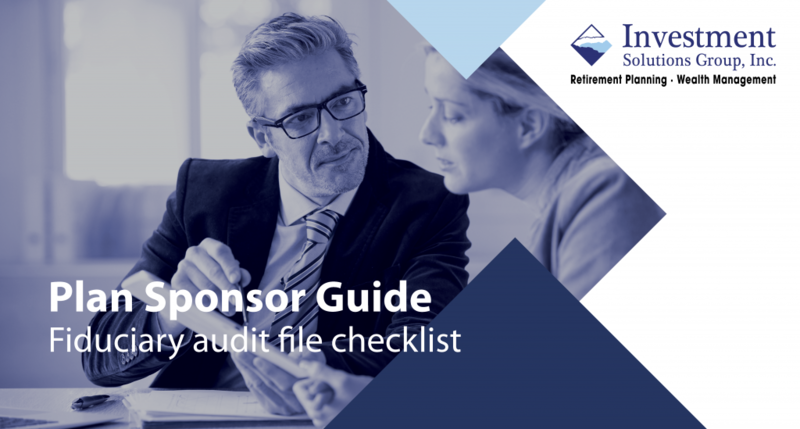 As a retirement plan sponsor, a fiduciary audit file checklist will help you to compile documents to keep your fiduciary audit file up-to-date and assist with periodic reviews of your plan. These documents should be readily at hand in the event that a DOL auditor shows up. This becomes easier if the advisor maintains an online filing cabinet for these and other plan documents that are also accessible to the plan sponsor. 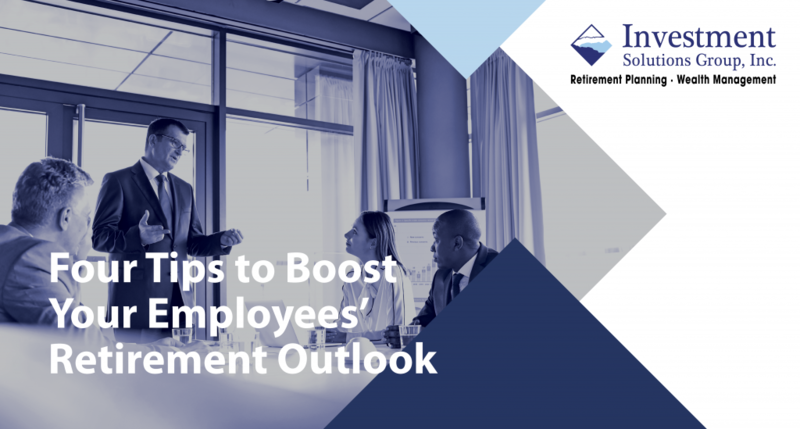 As many employees look ahead to retirement, 47% of workers feel somewhat confident that they’ll have enough money saved to retire on time and then live comfortably.1 However, forward-thinking employers have the ability to help their employees work toward a confident and happy retirement. According to the 2018 Retirement Confidence Survey from the Employee Benefit Research Institute (EBRI), only 17% of American workers feel very confident in their ability to live comfortably in retirement. Additionally, their 28th annual survey found that another 47% of workers feel somewhat confident about living comfortably in retirement. That means that over 64% of Americans (or 2/3 of your workforce) feel prepared for their retirement future. The majority of plans, nearly 6 out of 10, have already adopted auto-enrollment. A lot of plans started years ago; but back when many employers implemented automatic enrollment, it was at a 3% default deferral, with no auto-escalation feature. 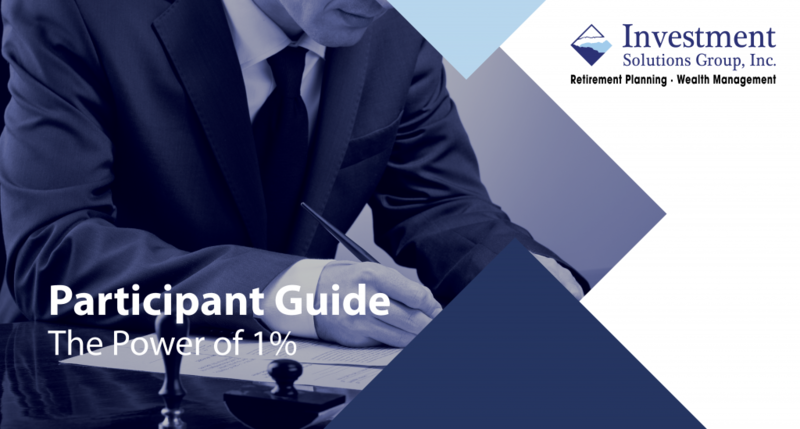 If you’re auto-enrolling employees at a low rate like 3% and leaving the deferral rate there, consider that many retirement-savings experts believe that Americans need to save 12% to 15% every year. Relying on a 3% deferral, even with a match, may limit your employees’ chances of reaching their goals upon retirement. Many employees take their cue on how much they should save for retirement from the message you send with the employer match you offer. Match 100% of the first 3% of pay that an employee defers, for example, and employees may think they need to save 3% a year to have enough for retirement. In reality, they most likely will need to save more. We can work with you to analyze your options for a match formula that can help your employees save more for retirement. For some sponsors, this means implementing a “stretch” match that requires employees to contribute more to get the full employer match: Instead of a 100% match on a 3% deferral, for instance, a plan could match 50% up to 6%. Even if you auto-enroll, all your eligible employees may not experience the benefits. Many employers implement automatic enrollment only for new hires, not employees already working at the company when auto-enroll started. And some new hires likely opted out of enrollment when they joined the organization, or later reduced their deferral because they faced a budget crunch at the time. They may be in better financial shape now, but most won’t take the initiative to sign up on their own for participation in the plan. Think about re-enrolling all eligible employees currently not participating in the plan and eligible employees currently contributing less than the initial default deferral rate. So, if you use 6% as your initial default deferral rate, for example, the re-enrollment could include non-participating employees and active participants saving less than 6%. Some employers do a re-enrollment as a one-time event, while others do it every year. We can help you evaluate whether re-enrollment makes sense for your plan. Research has shown that people respond more to communications that have been tailored to them individually. Fortunately, recordkeepers have made big strides in their data-crunching and customization capabilities in the past few years. Now they can more easily drill down and identify particular groups of participants in a plan–such as those saving below a particular percentage of their pay—and then do an education campaign targeted to that group, personalizing the communication for each participant. Consider moving ahead with a customized communication campaign to low savers in your plan, such as those participants not currently contributing enough to maximize the match. We can serve as a liaison between you and your recordkeeper to coordinate a targeted campaign to a particular group of participants. Employee Benefit Research Institute. “2018 Retirement Confidence Survey.” April 2018. Plan Sponsor Council of America. “PSCA’s 60th Annual Survey.” Feb. 2018. 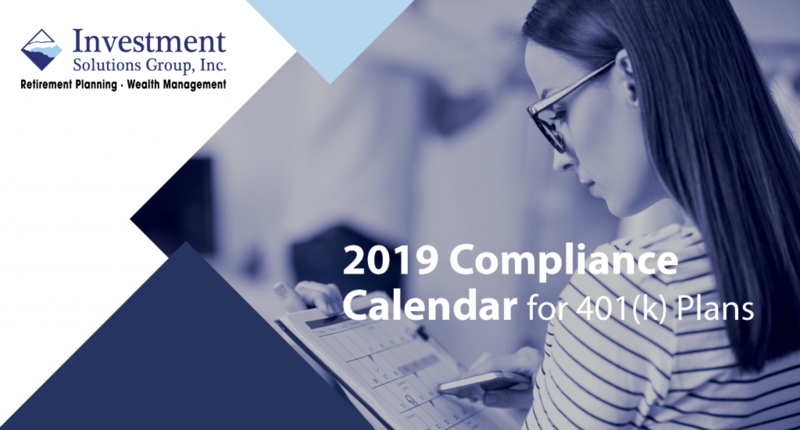 Your New 2019 Compliance Calendar for 401(k) Plans! Everyone loves the compliance deadlines that should be met every year. To help you stay ahead of the curve with important deadlines and filings, please find attached our complimentary 2019 Compliance Calendar. If you have any questions about deadlines or information requested, please contact us to discuss today!